This is a recipe name that doesn't make you think of fine dining. But it is a recipe that you can add to your camping menu. It's certainly won't win awards for its looks. Typically, you will see this recipe on sites from the USA, because that's where it all began. Actually, wherever you have a flame, this recipe will work for you. 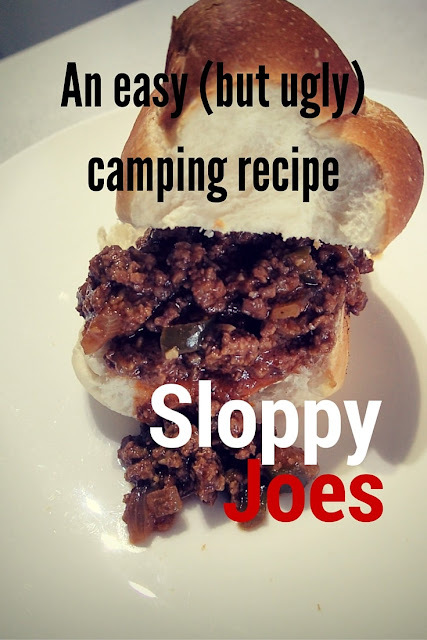 (now if you want to win your own Wonderbag to cook your Sloppy Joes and lots more, then read our Wonderbag recipe post). 1/4 cup water (but if cooking for a Wonderbag, this creates a lot more liquid that will need to be reduced). Add in the capsicum and onions. Stir, and then add 1/4 water (Wonderbag users: pls avoid this step at this time) the 2 sauces - tomato and BBQ, and garlic. Stir it around to combine. When combined, time to add the brown sugar (gives a little sweet taste) chili powder, dry mustard, red pepper flakes (optional) and hot sauce, Worcestershire, salt and pepper to taste. If the recipe appears not moist enough - Wonderbag users, may add a small amount of water. 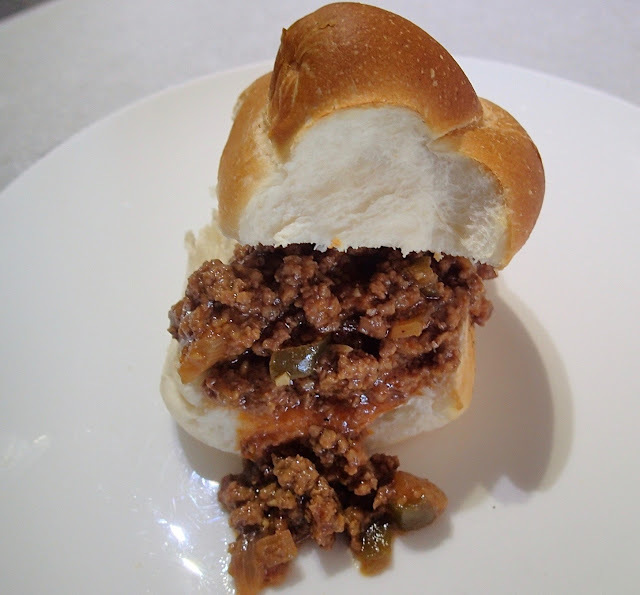 Ideally, you want the food to look "sloppy" but not drowning in liquid, as that will make your buns soggy. And who wants soggy buns? Once the food is hot, slice a bun and place in the middle! You can add cheese to the top of the meat if desired. (PS. It's messy so lots of paper towels are handy). In a large skillet over medium high heat, brown the ground beef and sauté the onions. When the meat is just about done and the onions are tender, add in the garlic and cook for a minute longer. Drain excess fat from the meat and transfer the meat to your slow cooker. In a large bowl combine garlic powder, salt, and black pepper with 1/4 cup water, 3 tablespoons Worcestershire sauce, 1 teaspoon yellow mustard, 2 tablespoons packed brown sugar, 1 cup ketchup and 3/4 cup BBQ sauce. Stir to combine.